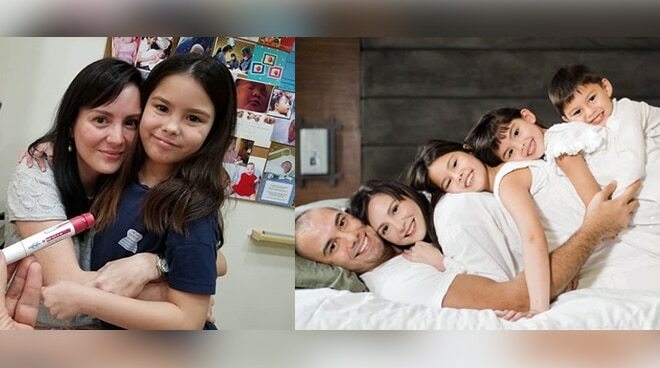 Doug Kramer posted exciting news for Team Kramer's followers on Wednesday, March 6. On his Instagram, the basketball star shared that they have already commenced the procedure for In vitro fertilization or IVF in order for Cheska to get pregnant again. "We will be sharing with you every step of our way to getting baby no. 4... maybe possibly baby no. 4 and 5 together! Today, we started the first injection for stimulation for more eggs to be harvested within 2 weeks. I love how we can do this journey here in the Philippines and the succeeding injections I will be conducting it at home for the next 10 days to Chesca!," Doug shared. He also relayed that they will be doing a pregnancy test on April 2 or 3. "Keep praying for us! Chesca may or may not get pregnant right away, it will all depend on how her body reacts to everything," he stated. Doug also reiterated why they decided for Chesca to go undergo IVF this time. "Chesca's pregnancy with Scarlett and Gavin took a toll on her body and the smart thing was to have her ligated. But now that it has been 6 years since the last birth, tests have been done to see that her body is ready for another go! All in God's time," he said. According to mayoclinic.org, In vitro fertilization is a procedure wherein "mature eggs are collected from your ovaries and fertilized by sperm in a lab. Then the fertilized egg or eggs are implanted in your uterus." It was in February when the couple announced that they are planning to have another baby this year.